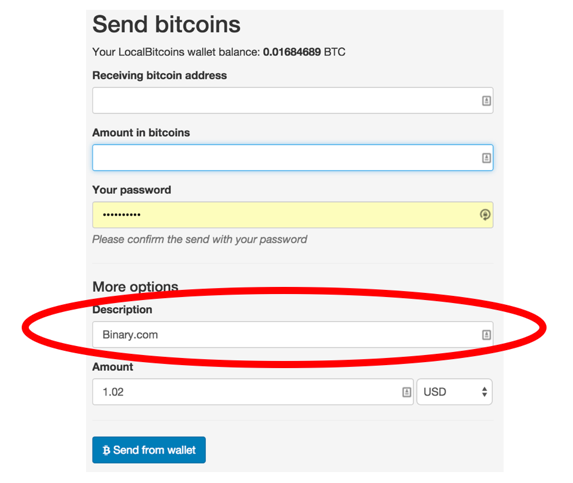 We are pleased to announce the addition of a new payment method on Binary.com: Bitcoin. This latest addition expands the number of payment methods now available to our traders, as a way of catering further to your own individual needs and preferences. 1.Go to the Cashier section of Binary.com. 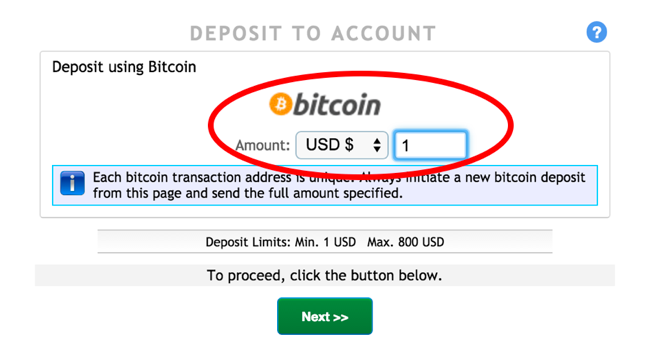 2.Click on Deposit, circled in red in the screenshot below. 3.Choose Bitcoin as the payment method. 4.Enter the amount you would like to deposit. 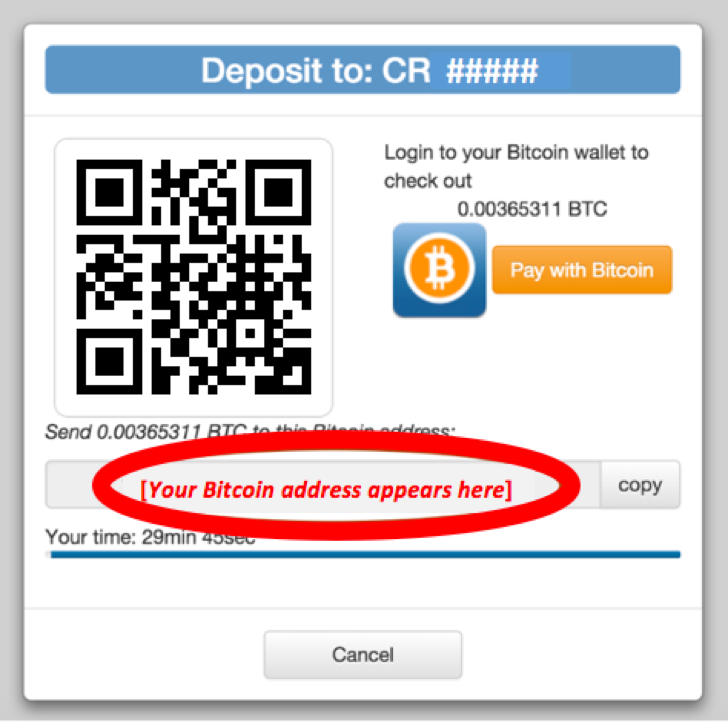 7.Now log into your Bitcoin wallet account. 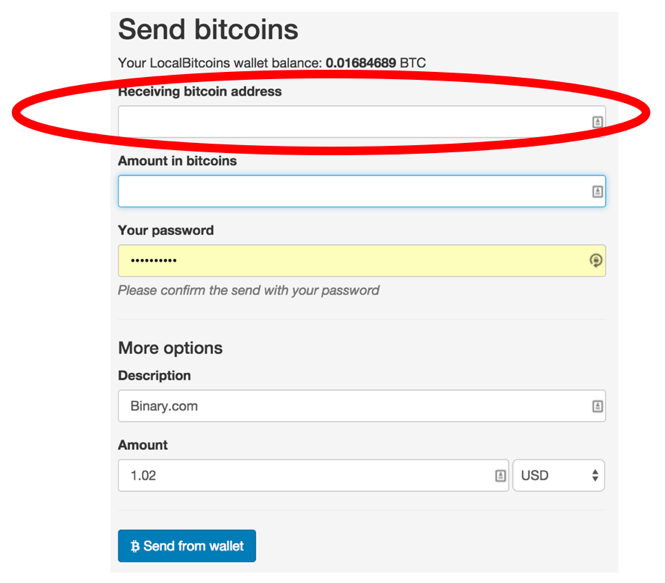 8.Paste the Bitcoin address into the “Receiving bitcoin address” field. 9.Add a Description, as an optional field. 10.Insert the Amount in bitcoins. You should now receive a confirmation message from Bitcoin. At this point, you’re all set! 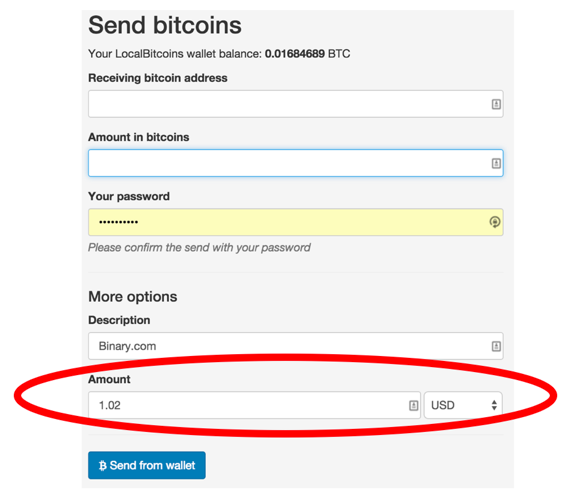 Enjoy this new payment method, as one of the many deposit / withdrawal options now available to you from Binary.com.